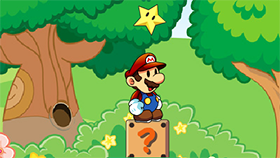 Super Mario Flash is a great action game. This game has unique 3D graphics, suitable for all ages. You can experience this game on your browser because it is a flash game. This game is a perfect web version of Super Mario Bros 3. 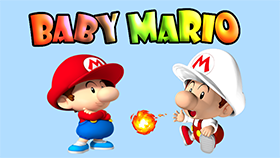 The game has impressive graphics and music featured by Mario Games. You will play in a map with many different levels and your ultimate goal in this game is Bowser Castle. In each level, you will have childhood memories like Goomba, Koopas and Bowser ... all fully embodied in the mushroom kingdom of Super Mario Flash. In addition, the game also features "Map Editor". This feature allows you to create your own world in this game.